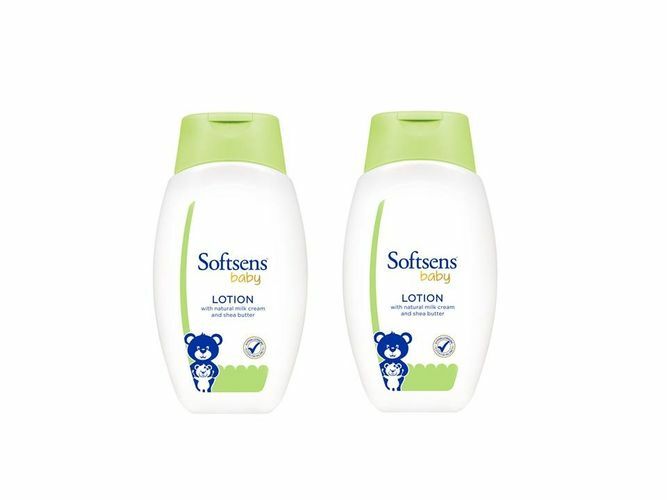 Softsens Baby Lotion moisturizes and cares for your baby's skin like never before. Enriched with Natural Milk Cream and Shea Butter, this lotion provides gentle nourishment for your baby's delicate and sensitive skin. Hypoallergenic and dermatologically tested for mildness. Provides gentle nourishment for your baby's delicate and sensitive skin. Contains pure & mild ingredients. Non greasy, hydrating formula which won't clog pores.